At a ceremony on December 14, 2017, Head of Center and professor of Soil Geography and Geochemistry, Bo Elberling, received the Hans Egede Medal for his contributions to research on the Arctic. 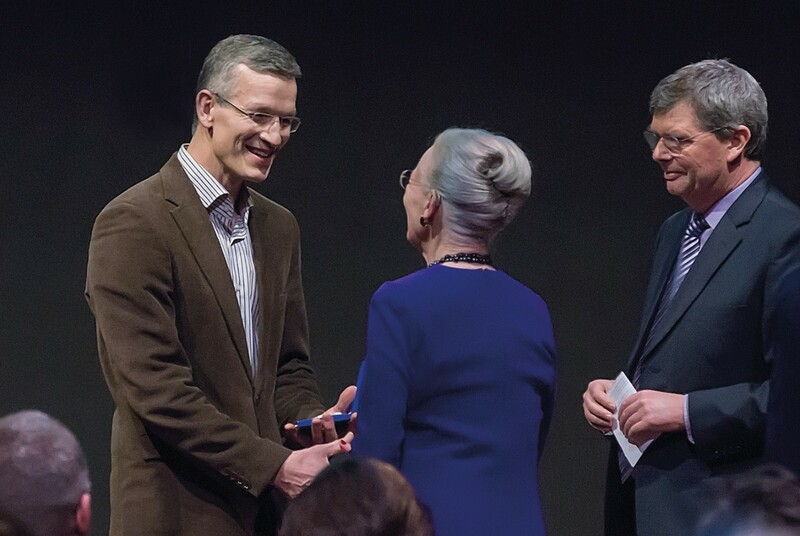 Her Majesty Queen Margrethe II presented the medal at the Royal Danish Geographical Company’s Christmas meeting for Danish Colonial history at the National Museum. Elberling is internationally renowned for his scientific contributions regarding the turnover of carbon in soil, the release and turnover of nutrients, and plant growth and methane in the soil. He has been the Head of the Center for Permafrost (CENPERM) since 2012. The center investigates the changes in Arctic ecosystems in the iceless part of Greenland. The Hans Egede Medal is awarded for excellent contributions to the geographical sciences’ service of the Royal Danish Geographical Company (RDGC). The medal has previously been given to Morten Porsild (1921), Knud Rasmussen (1924), Ejnar Mikkelsen (1933) and, most recently, to Johannes Krüger (1996). The vice president for RDGC, Rear Admiral Nils Wang, emphasized the importance of the interdisciplinary research that Elberling represents. He described how Elberling’s work “has initiated new angles for research, most importantly by combining detailed field measurements with controlled laboratory testing and modeling”.